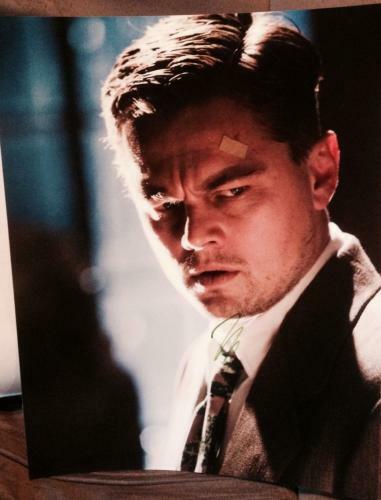 Leonardo DiCaprio is the definition of a Hollywood movie star. 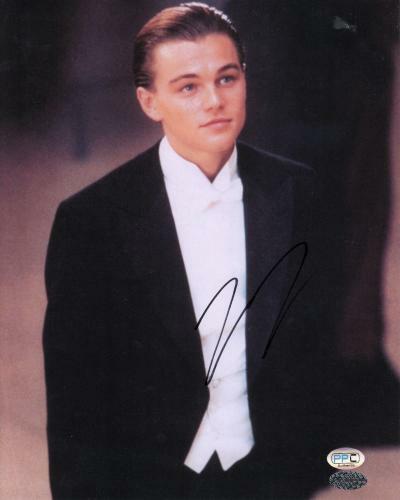 DiCaprio has emerged as not only one of the finest actors of his time but also as one of the most well-known and critically acclaimed actors of all-time. 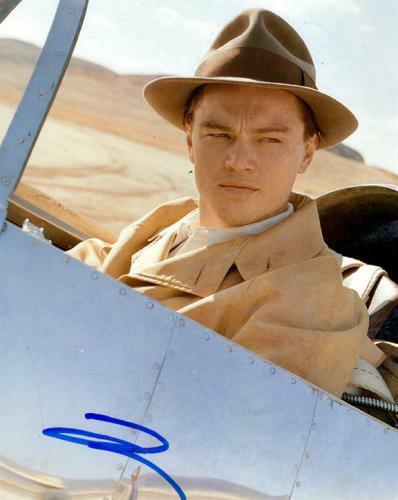 Over the course of his acting career DiCaprio has starred in legendary films including Titanic, The Departed, The Aviator, Gangs of New York, The Wolf of Wall Street, and The Revenant to name a few. 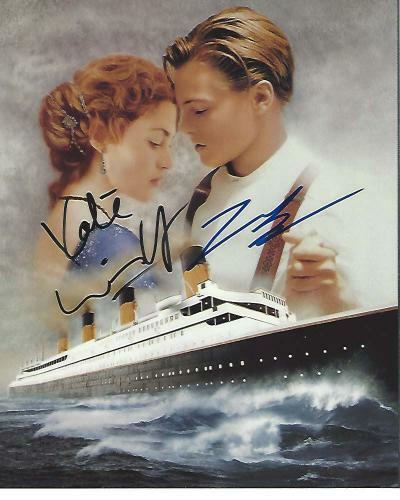 Upon Titanic's release in 1997 DiCaprio skyrocketed to superstardom as the film went on to become the highest grossing film ever at the time. 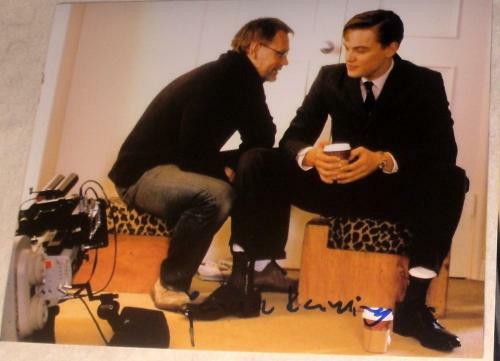 Throughout DiCaprio's career he has frequently collaborated with legendary director Martin Scorsese and the two have become one of Hollywood's top box office draws. 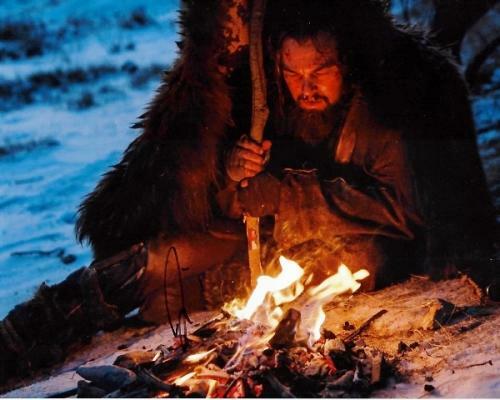 DiCaprio's incredibly decorated acting career has resulted in several nominations and awards, including being nominated for the Best Performance by an Actor in a Leading Role category at the Oscars four times, winning once for his performance in The Revenant. 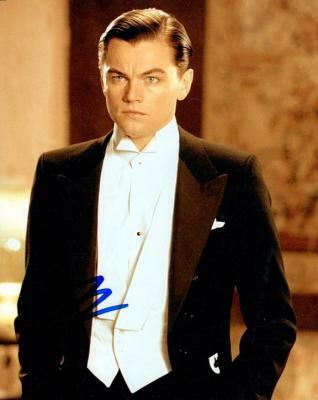 In addition, DiCaprio has also been nominated at the Oscars for Best Actor in a Supporting Role and has been nominated for multiple Golden Globe Awards. 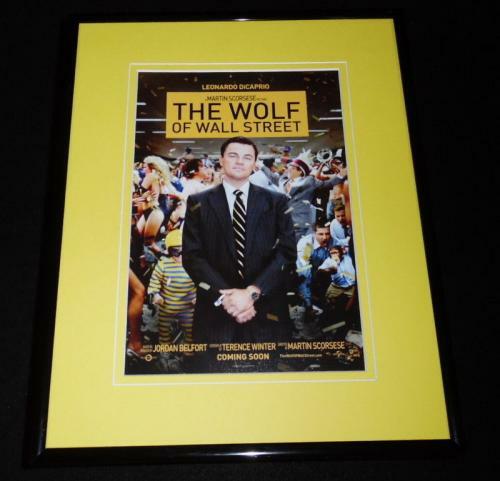 As a producer on the movie The Wolf of Wall Street DiCaprio received a nomination in the 2013 Best Motion Picture of the Year category at the Oscars. 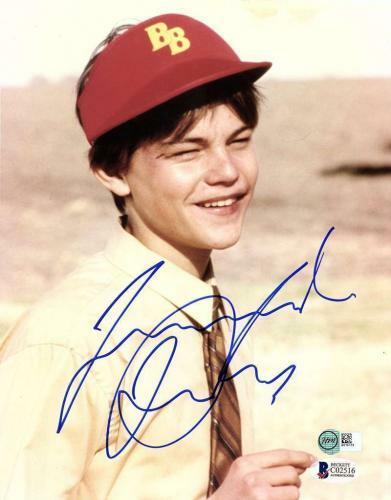 Over the years DiCaprio has taken on an important role speaking out against global warming and championing green initiatives across the world. 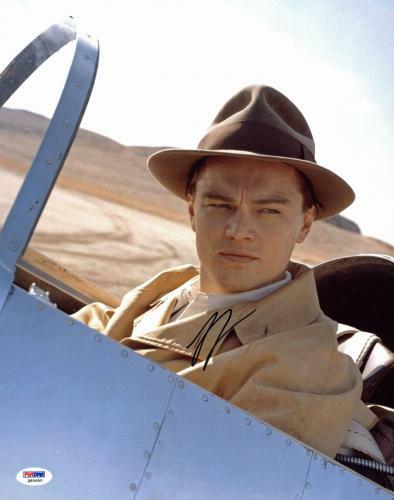 DiCaprio has made it a point to stress the importance of taking care of the environment while his political presence has become increasingly important around the world. 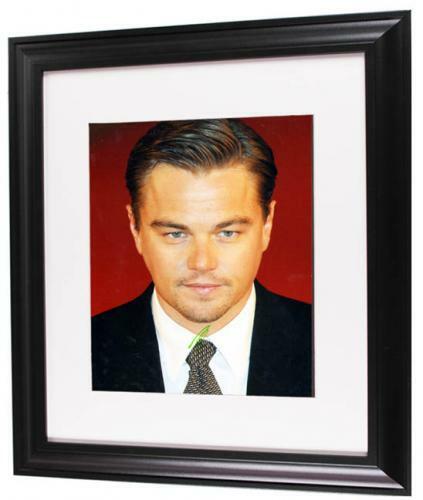 Signed Leonardo DiCaprio memorabilia and collectibles will look amazing displayed in any home, office, or man cave. 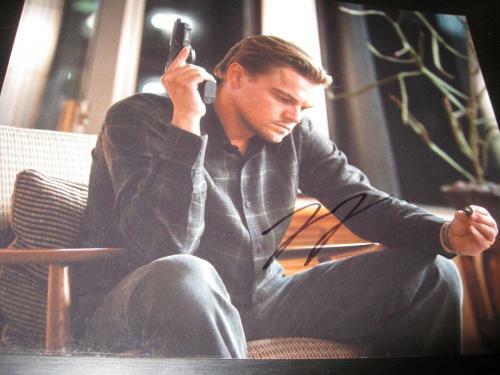 Our autographed Leonardo DiCaprio memorabilia and collectibles are all guaranteed to be authentic and will make fantastic gifts for any of your friends or family members. 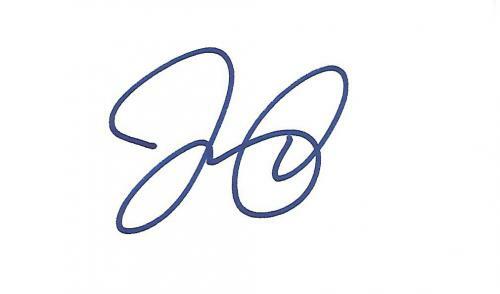 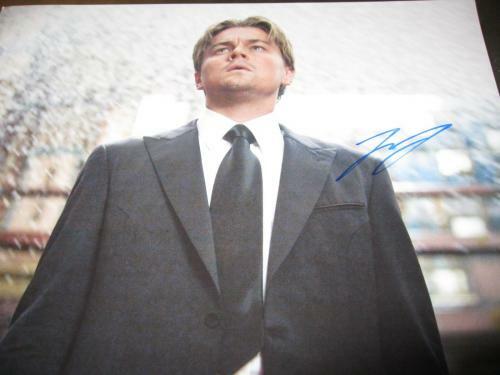 Your friends and family members will love their signed Leonardo DiCaprio memorabilia and collectibles and their autographed Leonardo DiCaprio memorabilia and collectibles will soon surge in worth and value. 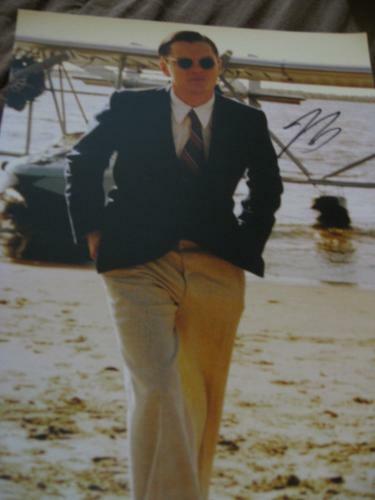 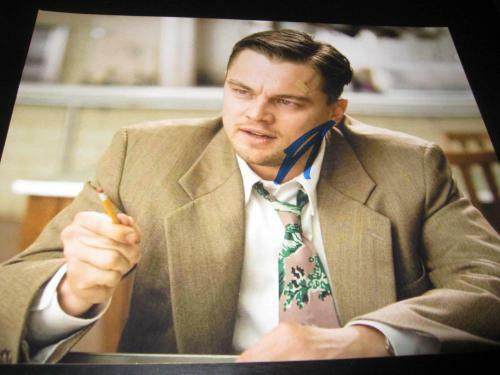 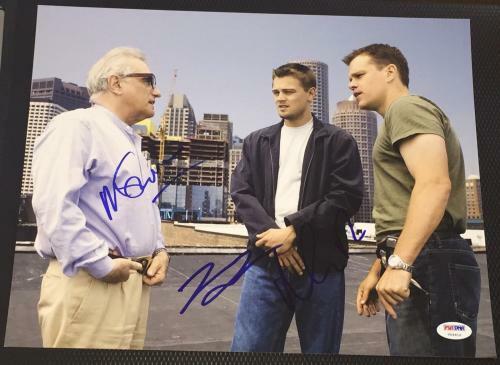 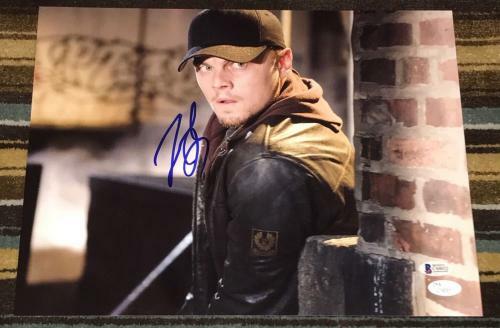 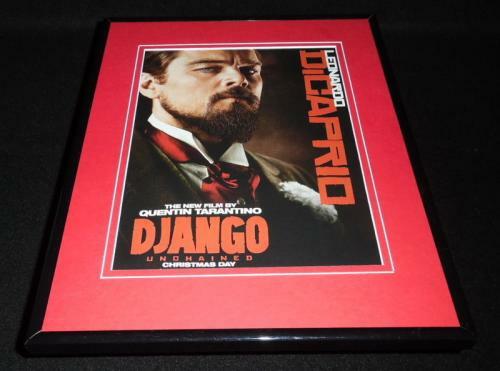 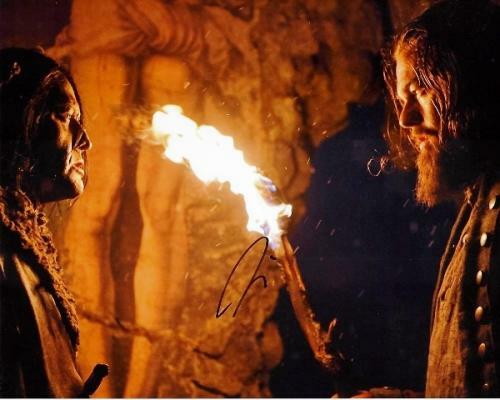 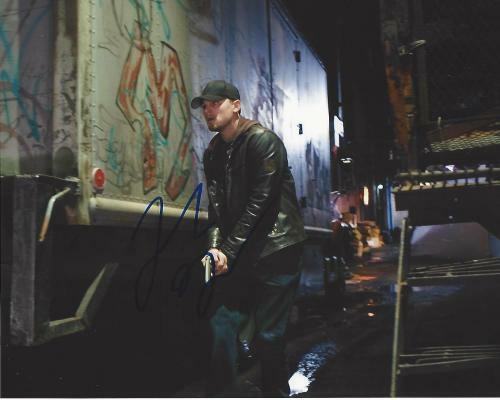 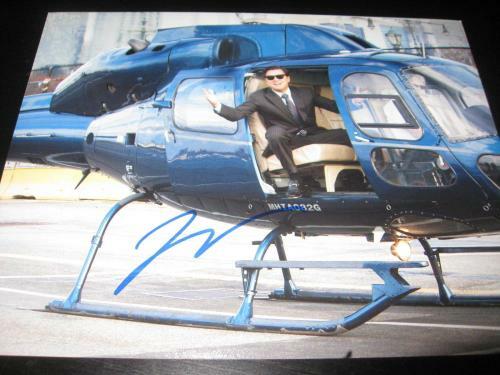 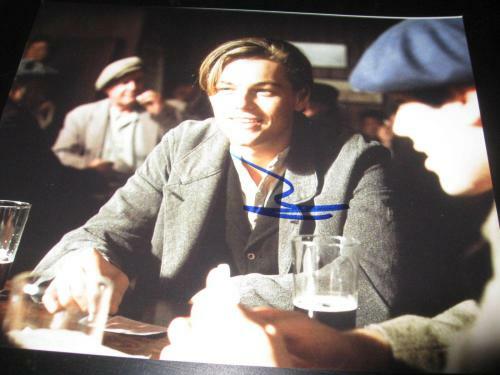 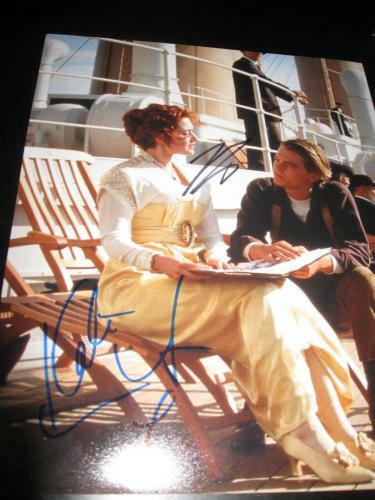 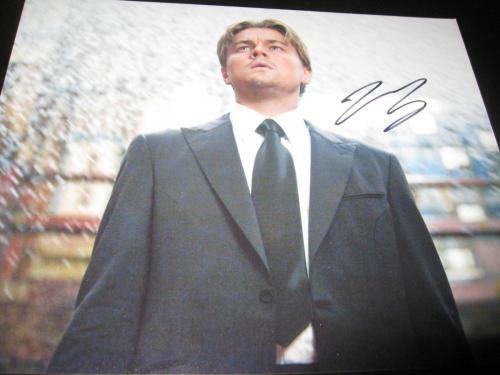 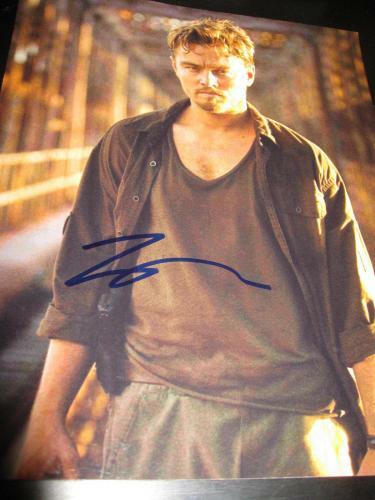 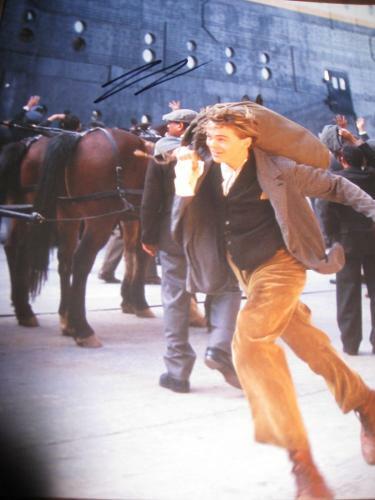 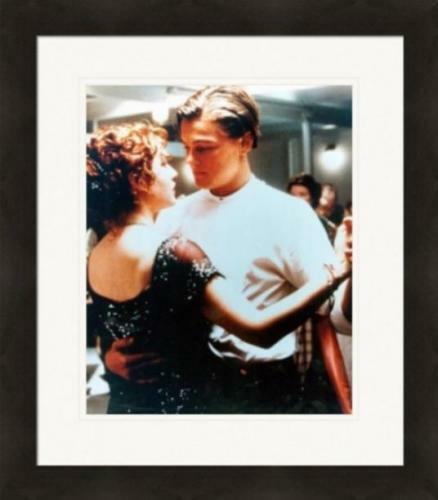 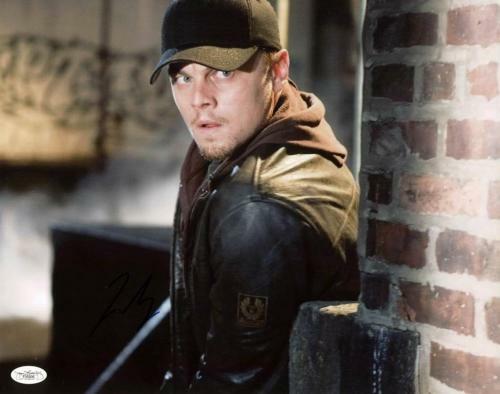 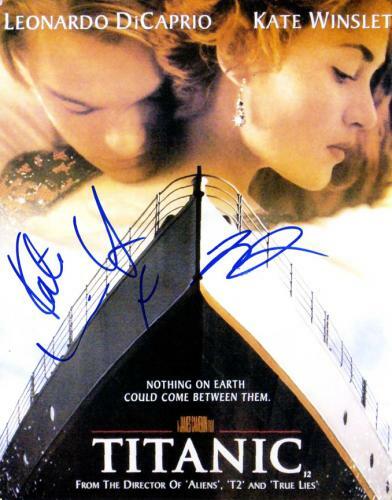 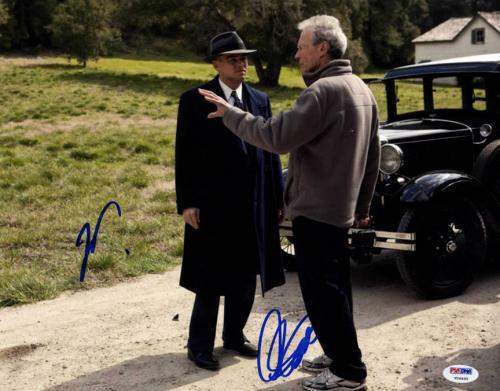 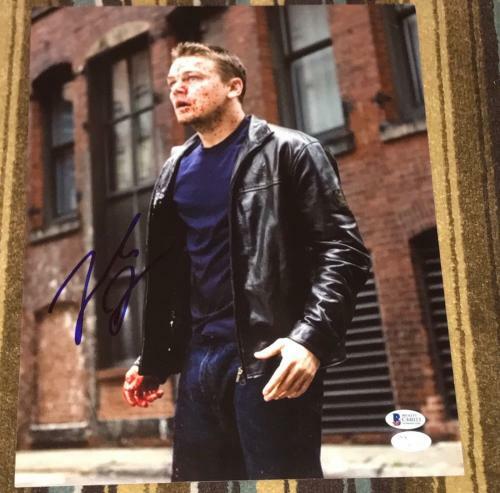 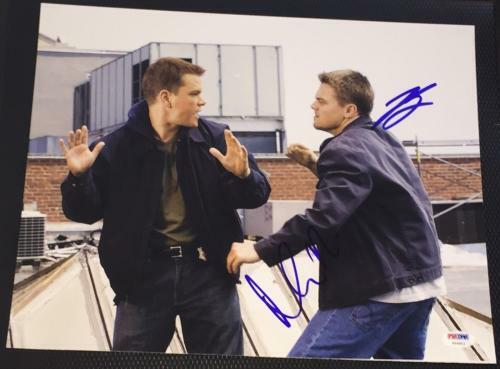 Leonardo DiCaprio Signed Movie Photos: Autographed Leonardo DiCaprio photos are awesome gifts for any Leonardo DiCaprio or movie fans in your life. 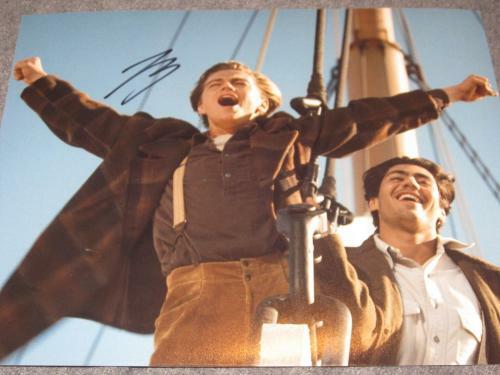 Whether they are fans of love stories like Titanic or action movies like Gangs of New York whoever you give a signed Leonardo DiCaprio photo to will be thrilled to display their autographed Leonardo DiCaprio photo in their home or office. 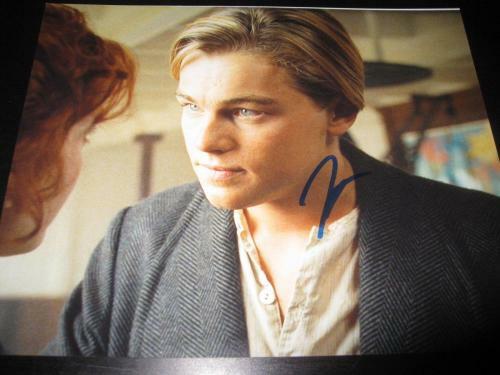 A signed Leonardo DiCaprio photo will also be a great addition to your own memorabilia collection. 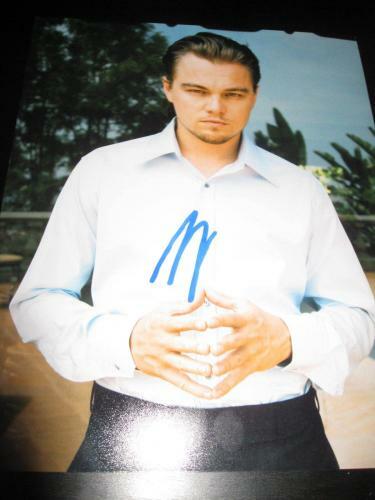 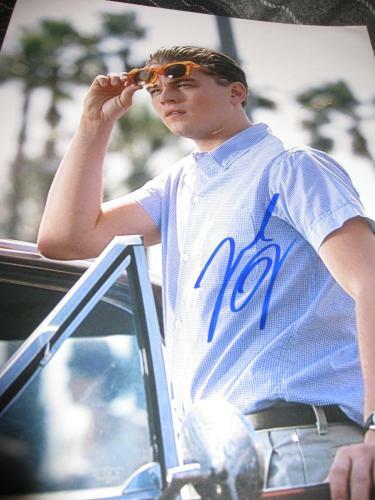 The autographed Leonardo DiCaprio photos that we have available for purchase are guaranteed to be authentic and are rare and unique pieces of memorabilia. 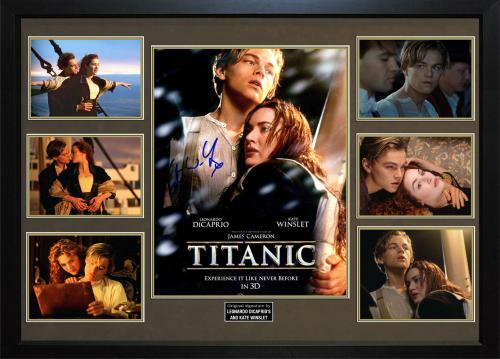 Leonardo DiCaprio Signed Movie Posters: A signed Leonardo DiCaprio poster is exactly what you need for your memorabilia collection. 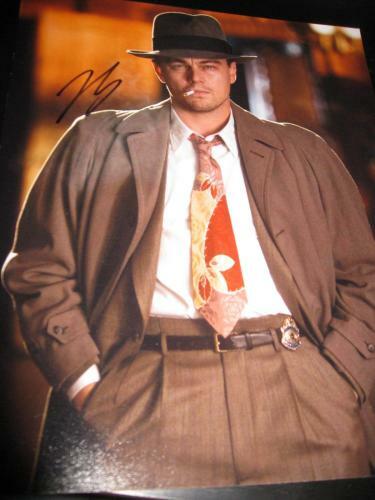 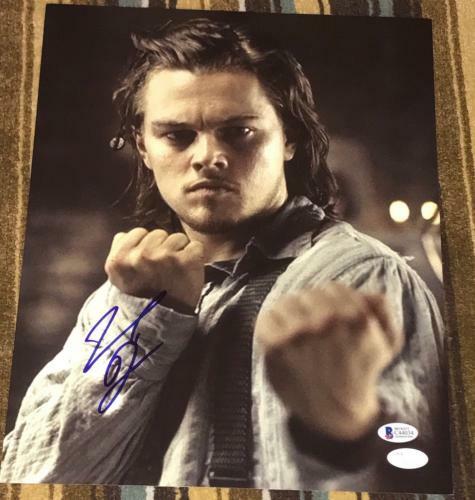 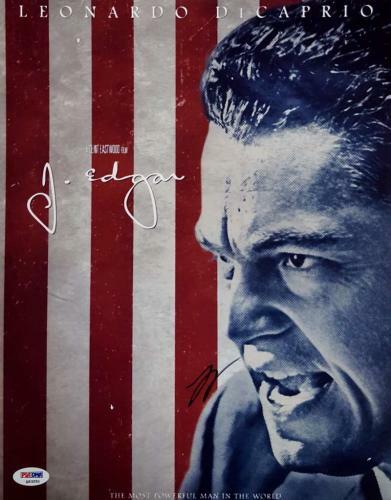 Our autographed Leonardo DiCaprio posters are guaranteed to be authentic, just like all of the other sports memorabilia and collectibles that we have available for purchase. 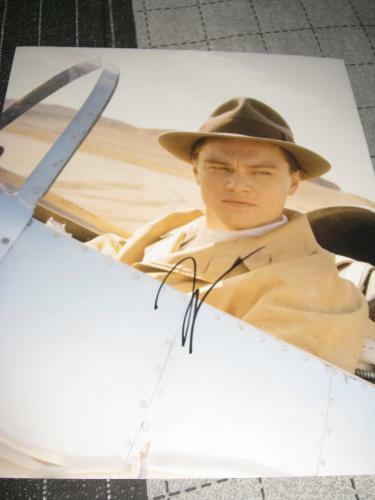 The signed Leonardo DiCaprio posters that we sell are rare and unique pieces of memorabilia that you will likely not find anywhere else. 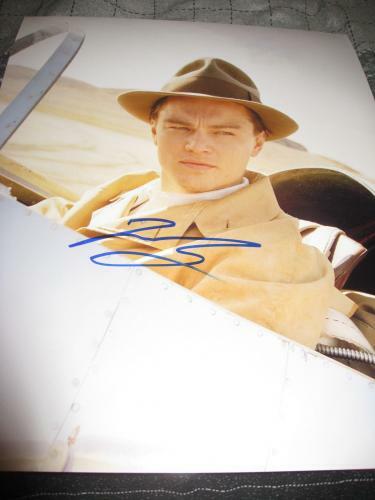 Autographed Leonardo DiCaprio posters are growing in worth and value daily so shop of our signed Leonardo DiCaprio memorabilia collection immediately. 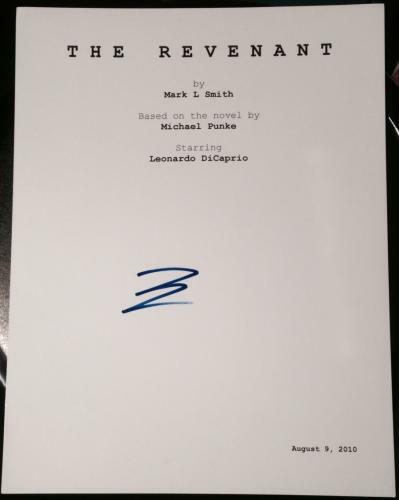 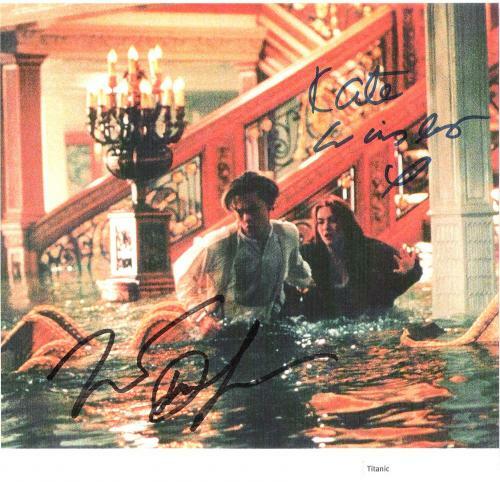 Leonardo DiCaprio Signed Movie Scripts: Do not miss your opportunity to purchase a piece of movie history. 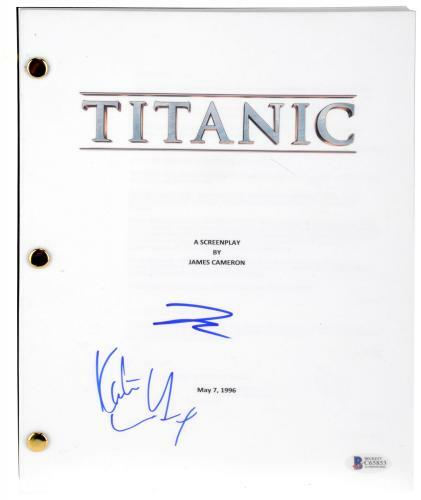 An autographed Leonardo DiCaprio script is the perfect collectible to add to your home, office, or man cave. 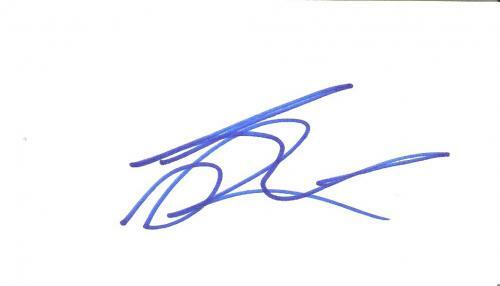 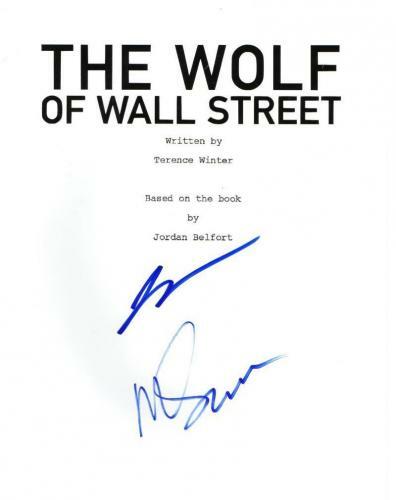 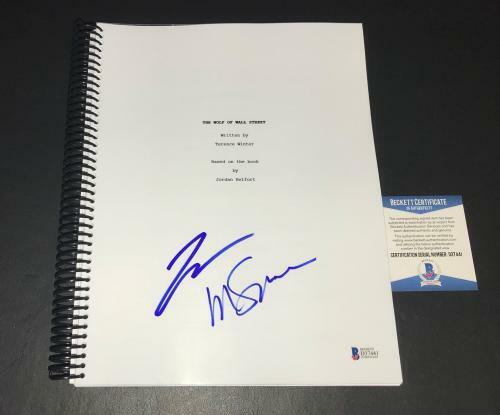 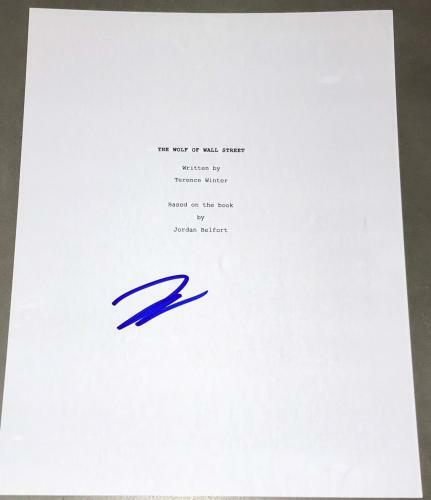 Our signed Leonardo DiCaprio scripts are guaranteed to be authentic and will make anybody who sees your autographed Leonardo DiCaprio script jealous. 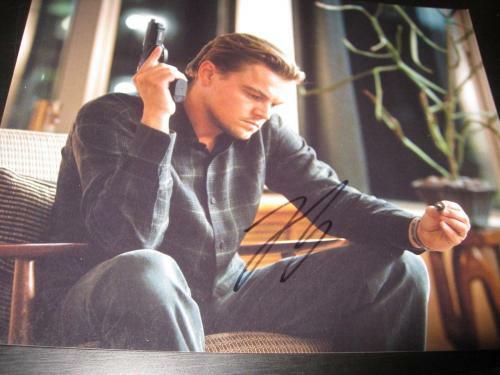 That is why a signed Leonardo DiCaprio script is an excellent sports gift for any movies fans that you know. 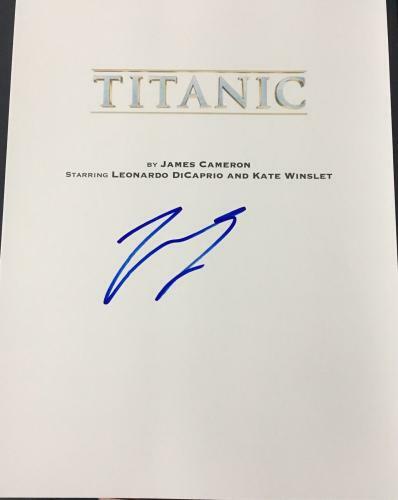 Whoever you give an autographed Leonardo DiCaprio script to will not be able to stop thanking you for their rare and unique gift.